Hi! 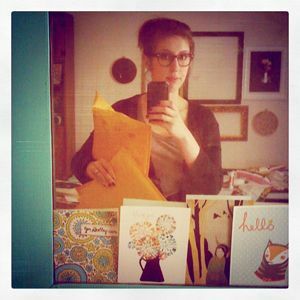 Wanted to show you a little something something I screen printed last night. 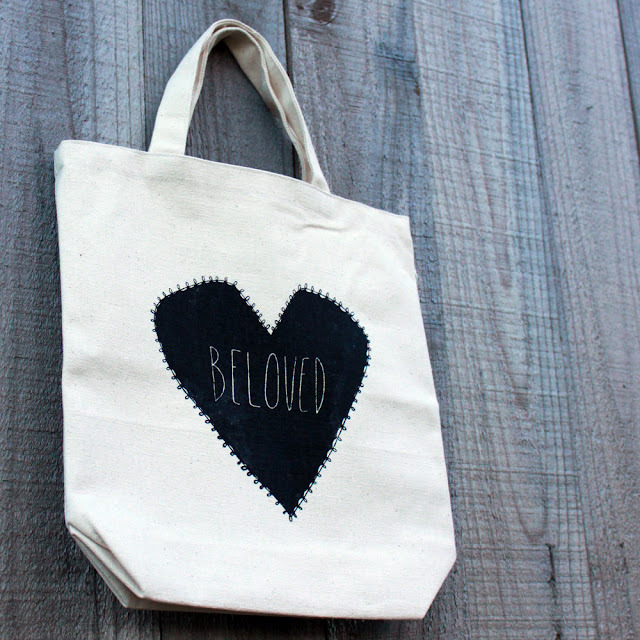 A nice little canvas tote that says "Beloved" in a typical Gingiber style. I wanted to create something simple and sweet. With lots of black ink. 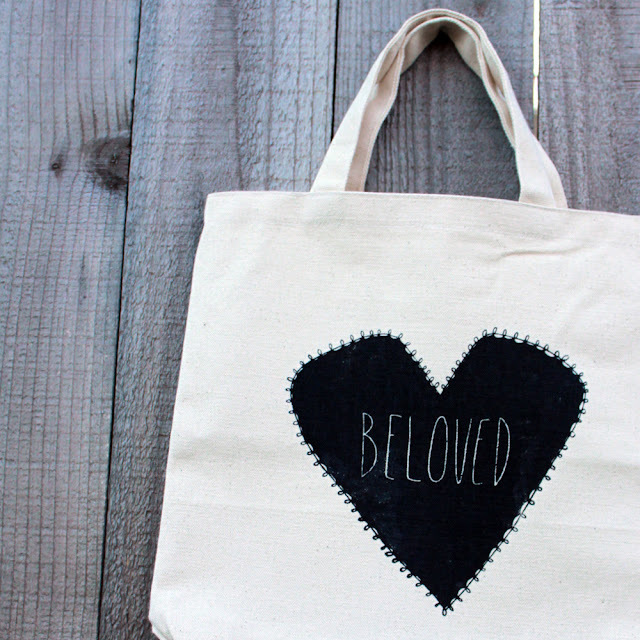 It will come as little surprise that my Violet inspired the tote. She has been wanting a back pack to take to school for a while. I though that it would be more fun to screen print one for her! Plus, the design is delicate enough to be used by a little girl. Thinking of making some pillow covers with this on the front of them. Maybe list them in the Gingiber Shop later this month?